558 p., 15,6 x 20,9 cm. In his ›Wissenschaft der Logik‹ (Science of Logic), Hegel presents an advanced theory of freedom in a logically enciphered form. Based on the question of how metaphysical content and logical form relate to each other, this study explores Hegel’s speculative theory of freedom. But what is concealed behind this theory? Logic or metaphysics? How does it define the relationship between freedom and necessity? 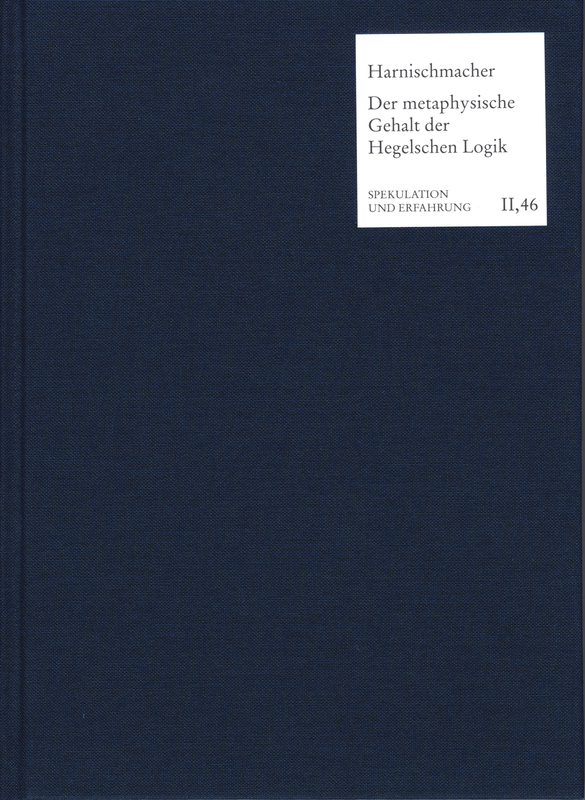 Harnischmacher‘s answer examines the dialectics of logic and metaphysics – a speculative metaphysics which has assimilated its critique through logic. This book is amazingly intricate and provides quite a sample of deeply speculative arguments. It not only recommends itself as a commentary to Hegel’s Science of Logic. It also recommends itself as one of its most powerful and consequential recent interpretations.